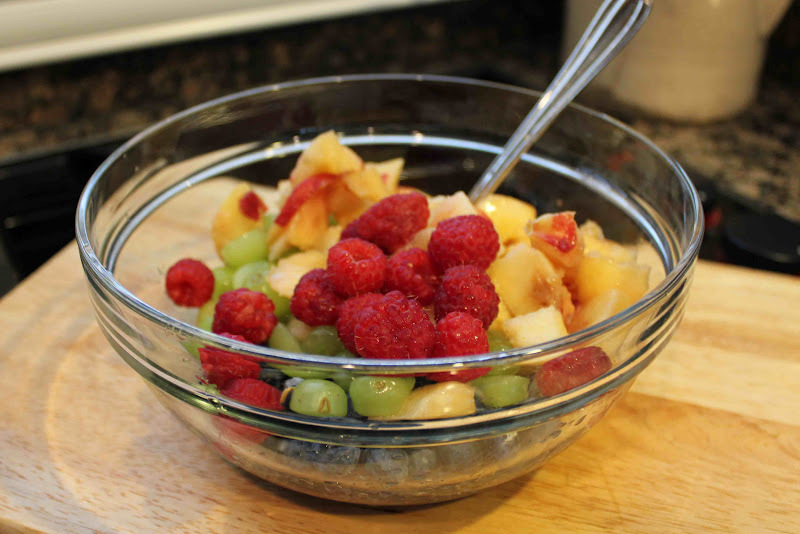 Here’s a very colorful fruit salad, perfect as a side dish for all your summer grilling. The dressing has a perfect balance of sweet and tangy from the unique blend of honey, ginger and lime. Matt didn’t “rave” about this fresh fruit salad, but he didn’t complain either. If you’re looking to really impress your guest with a colorful table setting, you’ve got to make this. I thought it was good, and perfect for summertime. My only complaint… after only a day, the peaches turned brown, like you would expect bananas to do. Therefore, make this fruit salad just prior to serving time. 1. Combine first 3 ingredients in a small bowl; stir with a whisk. 2. 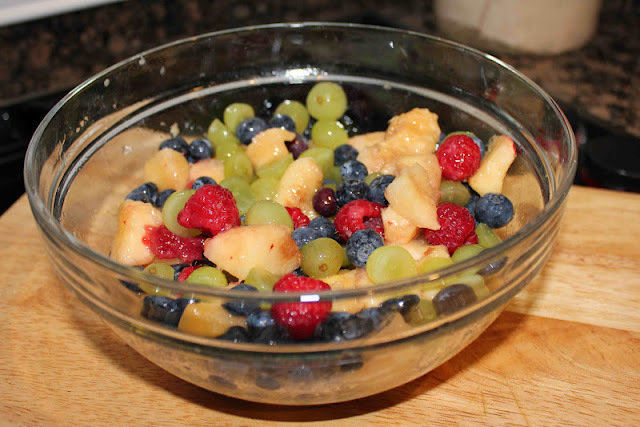 Combine peaches, blueberries, and grapes in a bowl. Drizzle juice mixture; toss gently to coat. Chill at least 1 hour.